Posted on February 19, 2016 at 5:37 pm. It was just “National Random Acts of Kindness Day”. Apparently, the entire week has been earmarked for random acts of kindness. Hmmm….. Do we really need a designated day or week to remind us to be kind? That seems a bit sad to me but, given everyday events in the news and the tone of the current political discourse in our country, it certainly couldn’t hurt. Mary Fisher, an activist, artist and philanthropist, created the 100 GoodDeeds bracelet as a way to mark our kind acts every day. I had the privilege of meeting Mary almost 2 years ago and fell in love with these bracelets that she created and what they symbolize. Every time you do a good deed, you move the marker over one of the 100 beads. She calls it a game, saying that the only rule is that you can’t tell anyone that you’ve done a good deed. According to Mary, “a good deed means we’ve gone out of our way to help someone and only counts if the deed remains anonymous.” No attention, no public pats on the back — just a way to make good deeds and acts of kindness come a bit more to the forefront of our minds. 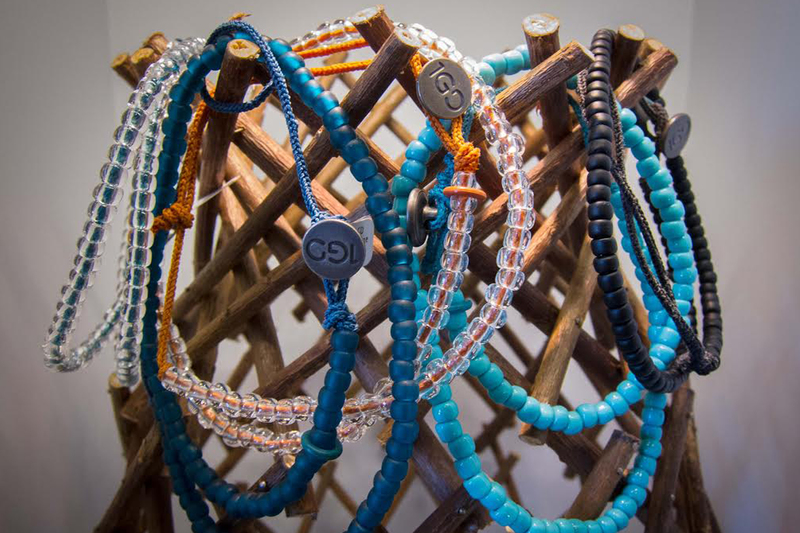 100% of the proceeds from the sale of these bracelets goes back to the vulnerable women in Africa who made them. Definitely a huge good deed — and I love that it’s quite intentional.